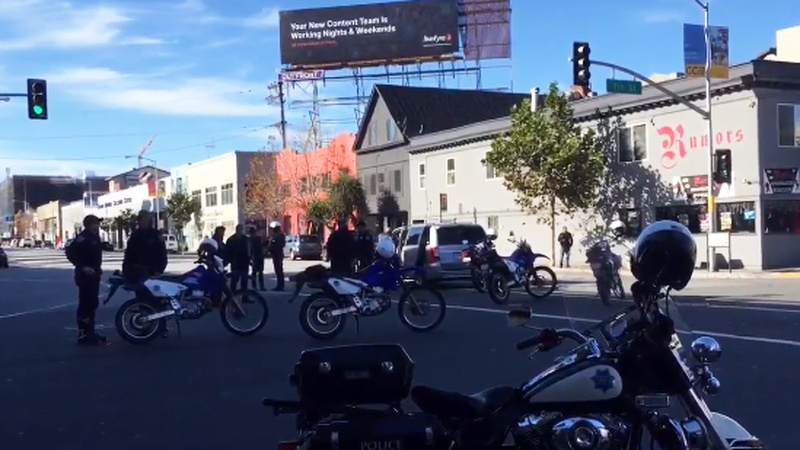 SAN FRANCISCO (KGO) -- A San Francisco police officer was taken to the hospital with non-life threatening injuries after a motorcycle crash with a mini-van. San Francisco police say the crash occurred after 10 a.m. when the driver of the van allegedly ran through a red light at Harrison and 7th. The van driver stayed at the scene and is being interviewed by police. There are several street closures for the crash: 7th is currently blocked between Bryant and Folsom, and the on-ramp from Harrison onto 101 is closed. Harrison is currently blocked from 6th to 8th.